I have anemia and have been taking pharmaceuticals to try and combat this problem. Nothing has worked and I now feel worse than ever. Are there any natural ways that I can control and even reverse this condition? I’m always getting sick and have absolutely no energy. I’m no longer able to work because of this. I want and need my life back. Please help! Anemia is a disorder that results from having a lower than normal red blood cell count or not enough hemoglobin. Basically, if you're suffering from anaemia you’re body is not receiving enough oxygen-rich blood. Anemia is quite a common condition, particularly in females and people with chronic diseases. According to the National Heart, Lung, and Blood Institute, this condition affects more than 3 million Americans. Heavy blood loss during menstruation, pregnancy, intestinal disorders, bleeding disorders, ulcers, infections, and chronic diseases such as cancer, rheumatoid arthritis or other autoimmune diseases, kidney disease, liver disease, thyroid disease, and inflammatory bowel disease (Crohn disease or ulcerative colitis) are a few of the most common causes of anaemia. However, a deficiency of iron, zinc, copper, magnesium, manganese, folic acid and vitamin B12 is the root cause of this problem in nearly all cases. All of these nutrients are crucial for the maintenance of healthy red blood cells and hemoglobin production. 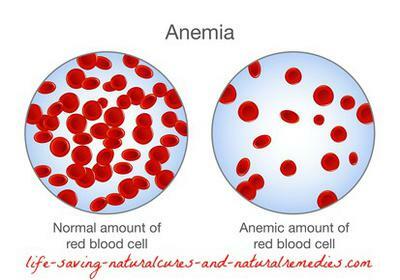 Contrary to what you may believe or have been told, treating anemia is actually quite simple - replace the lost nutrients listed above and you will cure your anemia. Guaranteed. Home Remedy for Anemia #1… Unsulphured Black Strap Molasses (BSM): Black strap molasses is a nutritional powerhouse. It contains all of the essential nutrients required for increasing red blood cell production and boosting hemoglobin levels including magnesium, zinc, copper, manganese, folate, and B group vitamins. Black strap molasses is especially rich in a safe and highly absorbable form of iron. In fact, a tablespoon of BSM supplies around 15% of your daily iron needs. If you’re suffering from anemia, black strap molasses should definitely be your first “go to” remedy. Simply mix a tablespoon of organic unsulphured black strap molasses (such as these ones) in a glass of warm filtered water and drink down once dissolved. Do this twice daily on an empty stomach for 3 months then drop down to once a day and stay on this amount indefinitely (yes, for the rest of your life). Remember this… continuing to take your BSM every day is crucial if you want to treat and cure your anemia for good. Black strap molasses is also 100% safe for everyone to take (adults and kids), regardless of what health problems you may be suffering from. Even pregnant women and nursing mothers can safely take it without harm. BSM is truly a wonder food, so make sure you get some into you as soon as you can! How to Get Rid of Anemia Cure #2… Wheat Grass Powder: Organic wheat grass powder contains chlorophyll, the life sustaining green pigment in plants. On a molecular level, chlorophyll is virtually identical to our own red blood cells or hemoglobin, so much so that during the Second World War chlorophyll (combined with coconut water) was used for blood transfusions in soldiers and actually saved a whole lot of lives! The oxygen-carrying capacity of the blood can be enhanced significantly by taking chlorophyll every day, so of course, it’s a wonderful solution for anemia or for those with compromised red blood cell production. results, be sure to take your wheat grass on an empty stomach, 15-20 minutes before food. Natural Remedy for Anemia #3… Pumpkin Seeds/Pepitas: Pumpkin seeds or pepitas are a simple yet very effective remedy and treatment for anemia. Pumpkin seeds contain 110% of the recommended intake of your daily iron, as well as being a rich source of zinc, magnesium, manganese, copper, B vitamins, and vitamin E. Pepitas also taste great, so eating them shouldn't be a problem. Either snack on a handful of pumpkin seeds each day or add them to your morning cereal. I find them quite addictive so it pays to keep them to only a handful! So to get your digestive system healthy and in tip top condition it’s imperative that you ingest plenty of good gut bacteria or probiotics. Taking a good quality daily probiotic supplement (like these) is crucial, along with culturing and fermenting your own healthy probiotic rich foods. Sauerkraut, yogurt, kefir, miso, kombucha, pickles, tempeh, natto and kimchi are all excellent probiotic rich foods that you can easily make yourself at home. If you’re unsure on how to go about this, take a look at this website and their handy recipe options… Cultures for Health. Home Remedy for Anemia #6… Eat Healthy: Consuming natural foods that are high in iron and other essential nutrients is a sure-fire way to get rid of your anemia fast. Spinach, pomegranates, sesame seeds, nuts, dates, bananas, apples, blackcurrants, squash, kale, chard, along with beef and chicken liver and grass-fed meats such as beef, bison and lamb are all high in iron and blood cleansing nutrients, so be sure to include these in your diet. Avoiding all refined and processed foods is also crucial as these offer no nutritional value and many of these foods (particularly processed dairy and soda drinks) actually cause loss of nutrients such as iron from the body. In addition to this, many refined and processed foods contain artificial additives and chemicals that choke up the blood and make your blood platelets sticky, essentially worsening blood disorders such as anemia and its accompanying symptoms. How to Get Rid of Anemia Cure #7… Reduce Stress And Do Some Regular Moderate Exercise: Maintaining a healthy liver and spleen is crucial for not only curing your anemia, but for keeping it away for good. 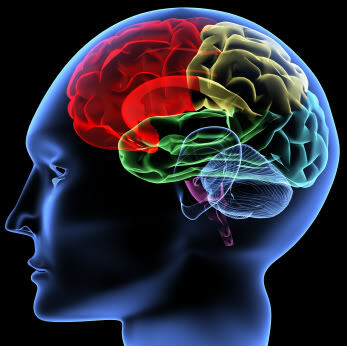 Stress is one emotion that can quickly exhaust these organs. If you’re a highly strung or stressed out person then you must learn to keep this emotion under control. Do some Yoga or daily meditation to help you relax. Practicing regular tai chi is another great way to relax and gain control over your emotions. Epsom salt baths are also terrific for relaxing the body and come with the added benefit of replenishing the body with crucial magnesium. So be sure to take an Epsom salt bath 3-4 times a week. Exercise is likewise handy for relieving stress and anxiety. Regular exercise also helps to increase the oxygen supply throughout the body (not to mention that it’s great for your overall health and well being). And it doesn’t need to be fancy either. A brisk 40-50 minute walk or bike ride 4-5 times a week is all you need. So hopefully these tips and remedies help you out Megan. What about taking iron supplements? I'm taking one that my doctor prescribed, a non-heme form. It doesn't seem to be doing much? Non-heme iron tablets (ferrous sulfate and ferrous fumarate) are pretty much useless. The absorption rate for these is only around 3% at best. The liquid versions are higher though and are definitely better. If you're going to take an iron supplement, you're better off with a heme form... Iron Supplements: Which Form Is Best?. Great article! I suffered from anemia for years due to heavy bleeding from my monthly periods. 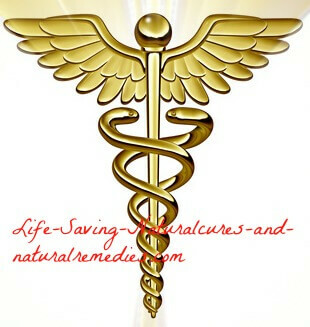 I began taking black strap molasses and wheat grass juice powder and within 12 months I was no longer anemic. My doctor couldn't believe it! I urge anyone suffering from this condition to give these treatments a go. They definitely work! Hello Troy! Definitely going to start implementing all the suggested remedies that you've listed here to try and boost my iron supply. I have been iron deficient for about 2 years now, and the numbers keep dropping. Currently, my iron saturation is at 13 and ferritin serum is at 4!!! I have been eating extremely healthy for about 3 years now. I follow the Ayurvedic diet, incorporating raw probiotics, fermented foods, bone broth, etc. I also try not to eat iron-blocking foods with my iron-rich meals, and add some Vitamin C foods instead. I'm hoping to resolve this issue soon as I've lost a LOT of hair over these 2 years and I'm constantly short of breath. Meanwhile, I wanted to ask, do you think it would be wise and/or beneficial to get an iron injection just to bring the levels back up while I'm trying to work on the issue? I do not take any medications or supplements whatsoever, so it's a tough call for me. Your advice is greatly appreciated! You have helped me in the past to overcome a small health issue and I haven't had problems with it ever since. I'm forever grateful to you for that! Glad we were able to help you out in the past too. Good luck and all the best to you Sannyasin! Thanks so much for all your help Troy! I can’t even begin to put into words how much your attentiveness and good-heartedness are appreciated! It isn’t every day that someone so charitably and selflessly shares their abundant professional knowledge with people. I do still take BSM as you had recommended previously for endometriosis and fibroids - all issues gone there! I don’t take it regularly now, but every now and then when I especially need an iron boost. But yes, building up blood and not just supplying it with iron, which may simply not be absorbed, is really what I need. I have wheatgrass powder from New Zealand. It’s organic, but it doesn’t say that is was grown in volcanic soil. I will definitely look for that in my next batch! Also, probably going to incorporate more beetroot into my diet. What do you think of Moringa? How does it compare to wheatgrass in your opinion in regards to the issue at hand? I am relieved that I may not need iron injections, as I really don’t want to make something else go out of balance. I am a firm believer in natural remedies for every condition and yes, it’s totally worth it! Deepest thanks to you from the bottom of my heart! Hi Sannyasin. Firstly, you're very welcome. Glad I've been able to help. With the black strap molasses, I would continue as you have been doing, only taking it when you need it. This is a good approach. With the wheat grass, you can get some fantastic brands of wheat grass that come from New Zealand and are grown in their many volcanic ash crops, so definitely check this out further. In regards to moringa? This is an extremely healthy plant, however, I would not substitute this for wheat grass. You can, however, take the moringa in supplement form as well - no harm whatsoever doing this. Or, you can buy moringa from your local green grocer and use it in your cooking and salads. This is another handy option. How much wheatgrass juice daily for blood building and how do you take it please? With the wheatgrass powder, start off on one rounded teaspoon mixed in a glass of filtered water or natural fruit juice once per day (make sure you have it on an empty stomach 15-20 minutes before food). After 1-2 weeks, increase the amount to twice daily (first thing in the morning and 20 minutes before dinner as an example). After a few more weeks you can increase the amount again, up to 6 teaspoons daily. By starting off slow and building up the dosage over a period of several weeks or months, you help avoid any detoxing reactions that can sometimes be experienced in the beginning (search "herxheimers reaction" online for an understanding of what this is). Hope this helps you out Rosemary. I have been taking wheatgrass for 3 months now since I have read your article and my hair has stopped falling out! It actually stopped falling out after less than a week of starting the wheatgrass, which really surprised me. It is much stronger and healthier now, although lots of it needs to be regrown, which I understand, will take some time, but I'm sure that the ferritin has been rebuilt. Thank you so much! I plan on taking another blood test, just the iron panel, and since I've already been anemic, I wanted to ask if there are any steps that I should take before or after the test as I will lose some iron with it? Any advice on this is greatly appreciated. Hi Sannyasin. Glad the wheat grass powder is helping. The only thing I would probably suggest is upping the wheat grass before and after your test. Even just an extra teaspoon each day (taken at a separate time to the others) will work wonders.